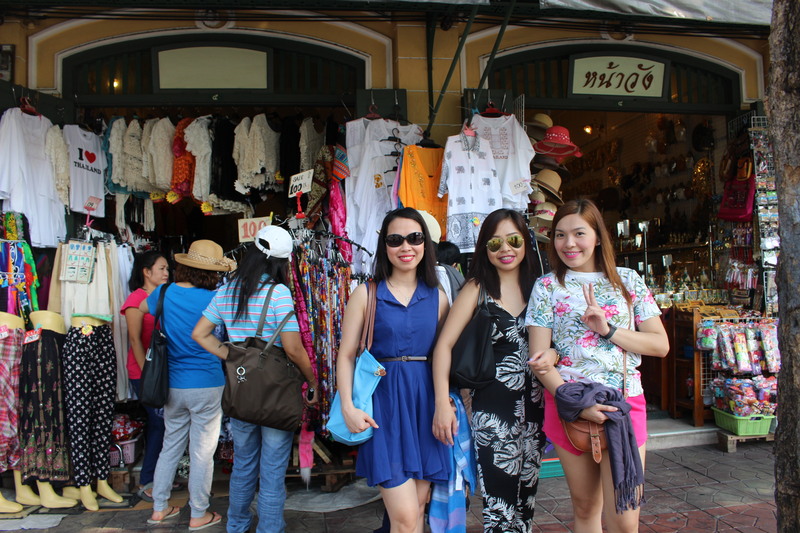 Me and my friends/colleagues (Aby, Bryan and Jenny) decided to make a tour together at Bangkok, Thailand. After we decided we immediately booked our Hotel & Tickets @ Dailyn’s Travel and Tours. Everything was set and ready. Our flight was at night but I still managed to work in the day time. From Singapore to Bangkok the flight took 3.35 hours. We took Jet Star with the flight no. 3K-509. We reached at Suvarnabhumi Airport midnight and right away we looked for a Tour Agents to booked for a tour for us the very next morning. We met two Filipino Tour Guides and they have convinced us that they have the best tour packages and services offered and so we hired them. They speak Thai language fluently. 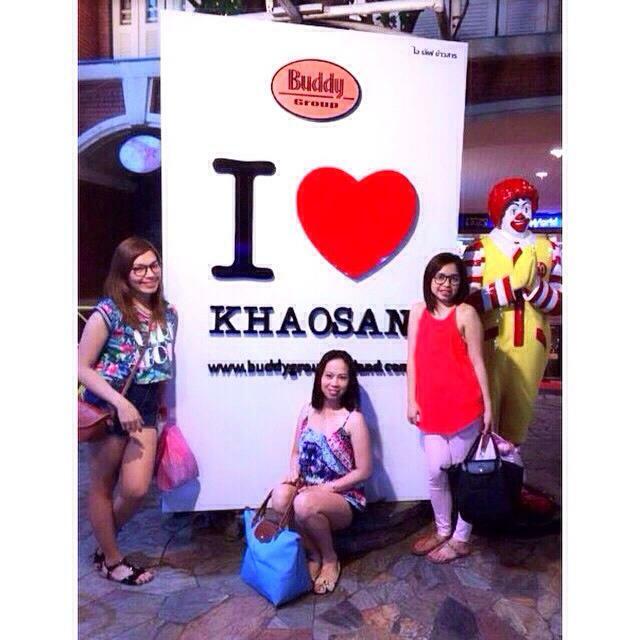 We felt comfortable and we trust our “kabayan” (countrymen) more than other foreigners. A European style and built between 1897 and 1901. This is the residential Hall of Royalties visiting Bangkok and the Exhibition of Royal Ceremonial Photography. The Dusit Royal compound comprises 20 separate buildings of historical, art and architectural interest which some are open for public view. But unfortunately, it seemed there was an event going on inside so they close the main entrance for the main time. So we didn’t get the chance to have a look inside. Right after a short stop and taking pictures of the Mansion, we proceeded for our City Tour. 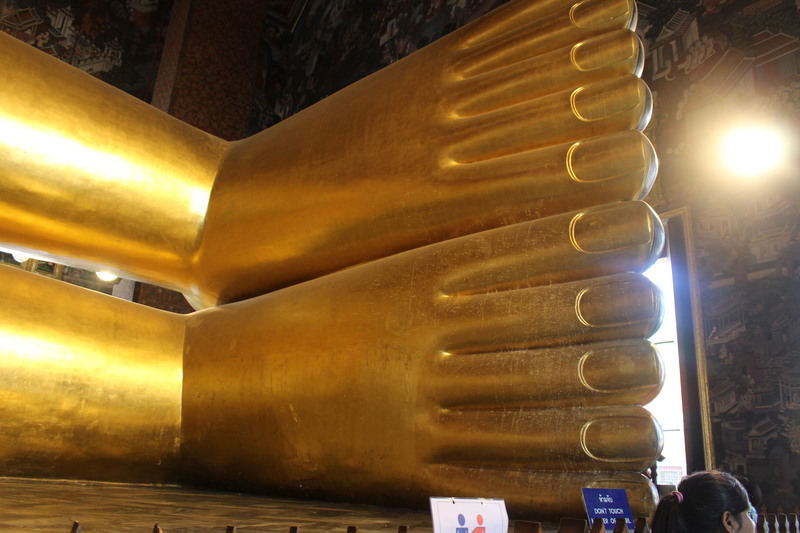 One of the most popular tourist attraction in Thailand. It is located in the heart of Bangkok, Thailand. 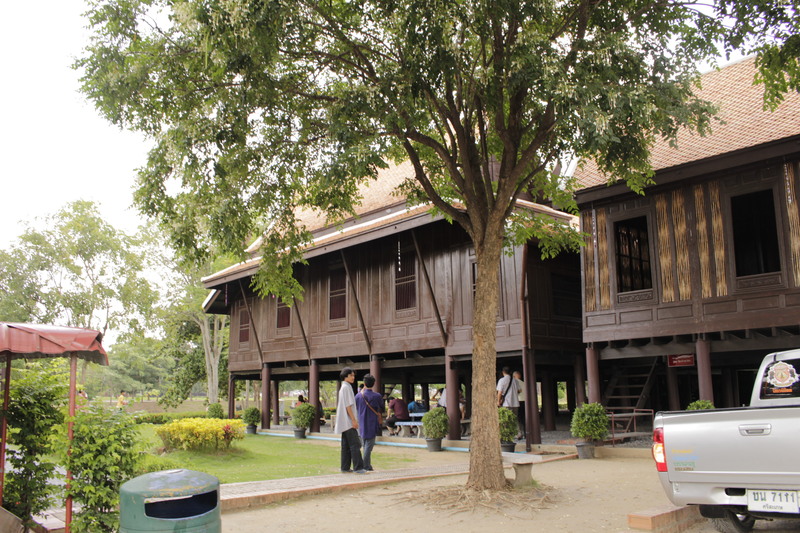 This is the official residence of the Kings of Siam but now Thailand since 1782. The palace is so nice with a marvelous and unique architectural designs. 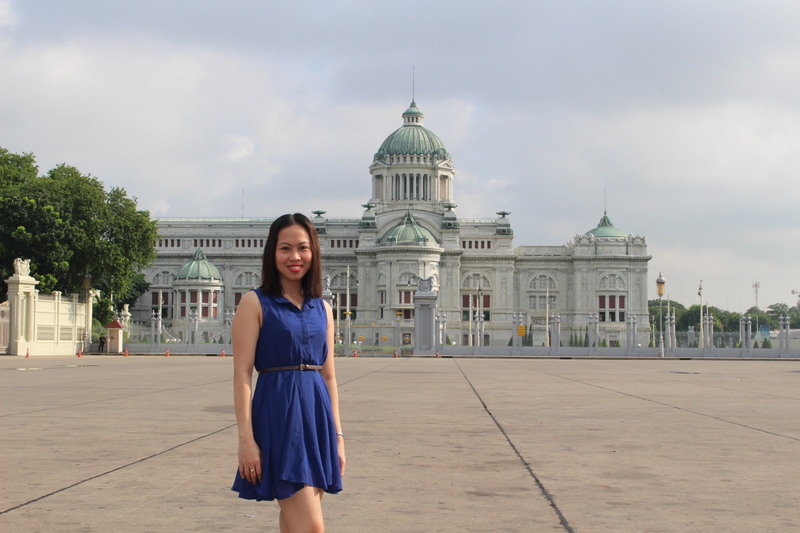 The Grand Palace has an area of 218,400 sq. meters and is surrounded by walls. Within these walls are situated government offices and the Chapel Royal of the Emerald Buddha. It’s a sacred place for Thai, a strict dress code applied. Visitors must be properly dressed before entering the area of the Grand Palace. We were not aware of that. We went in with shorts and sleeves so guards didn’t allow us to enter and told us to borrow a shirt and long pants in the first building on the right side after entering the main gate. It’s for free but must have to leave a deposit, which will be returned when all the items are returned. If you are not comfortable to wear the borrowed shirts, you can rent or buy clothes in some shops on the opposite side of the main gate. It is always best to research or to check first the rules and policy of ones place before going to avoid disappointments or avoid any problems. We decided not to enter inside the palace to save time for the other tour. It is also worth taking a look round the rest of the temple. We finished the City Tour and it seemed like everyone enjoyed the sight-seeing that we didn’t notice it was already late in the afternoon. 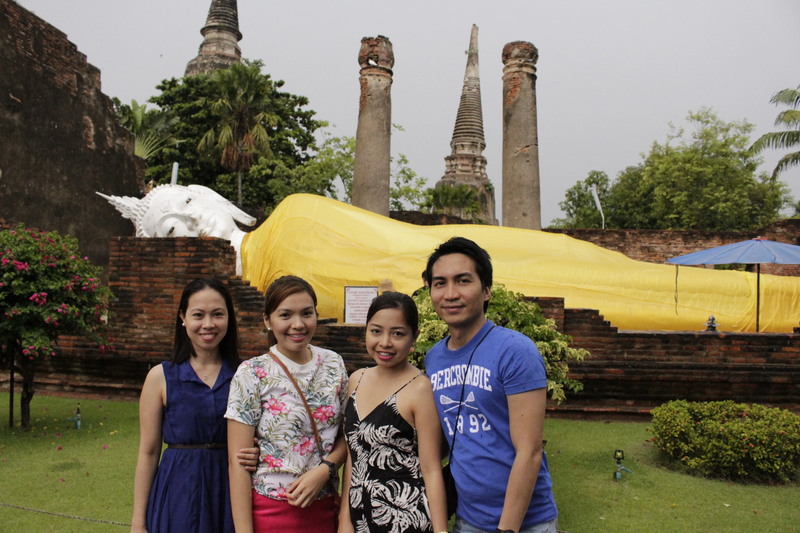 Our tour guides drove us then to Ayutthaya. It’s 1.30 hours drive from Bangkok. We were sleepy, tired and hungry so we all fell asleep in the car until we reached there. Immediately we ate in a restaurant which is famous of serving local delicacies. We tried local foods and oh it’s too spicy but so yummy. 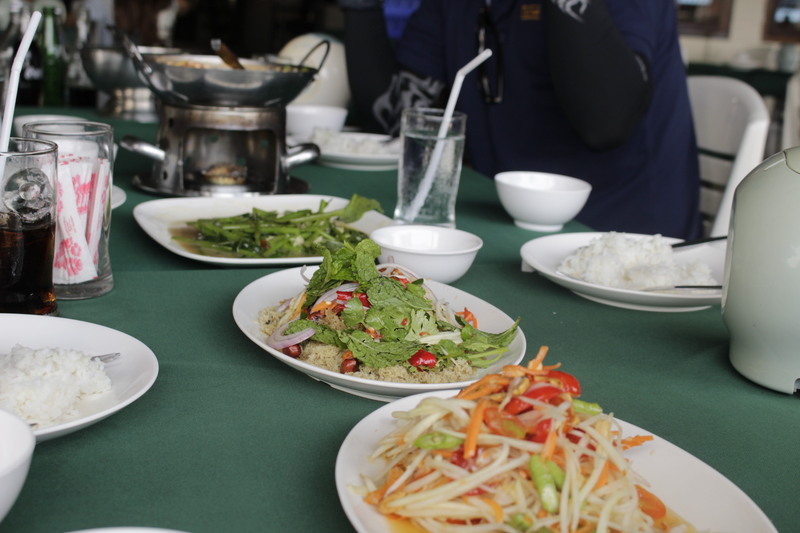 The first time I tasted Tom Yum Soup (Spicy Shrrimp Soup), Som Tum (Spicy green papaya salad), Pak Bong (Morning Glory) and more. The Restaurant is along the river. I like the view but not the smell. My overall dining experience wasn’t that good though foods was delicious. I found the place a bit dirty and lack of sanitation and Hygiene. We got recharged and we’re back to our lives again 🙂 so we went on with our tour…. 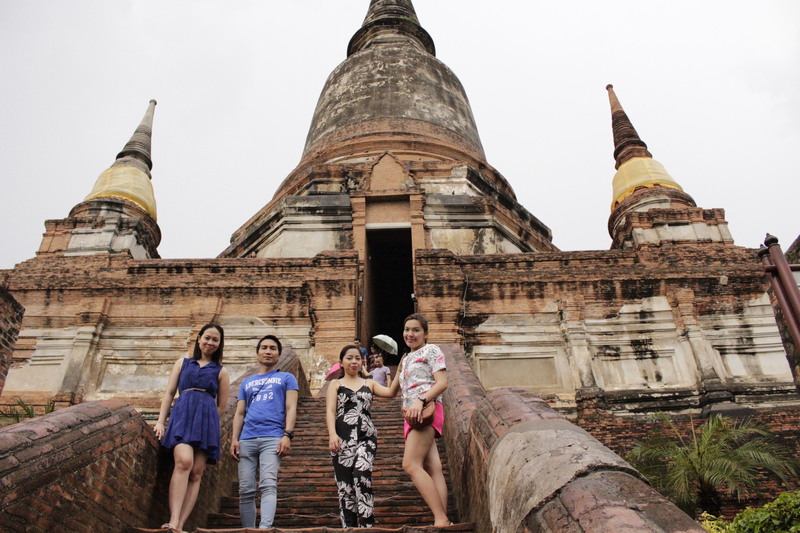 Once in Ayutthaya, the first stop on our expedition is Wat Maha That or the “Monastery of the Great Relic” The Unesco World Heritage site of Ayutthaya. Ayutthaya was a thriving Siamese kingdom from 1350 until 1767, when it was captured by the Burmese. 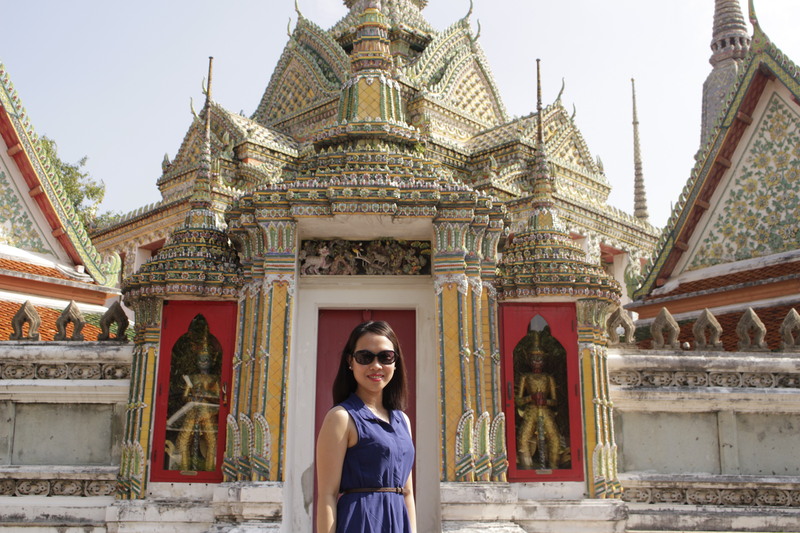 Today, Ayutthaya is known for its spectacular ruins and temples. Dozens of Buddha statues within the temple were beheaded. 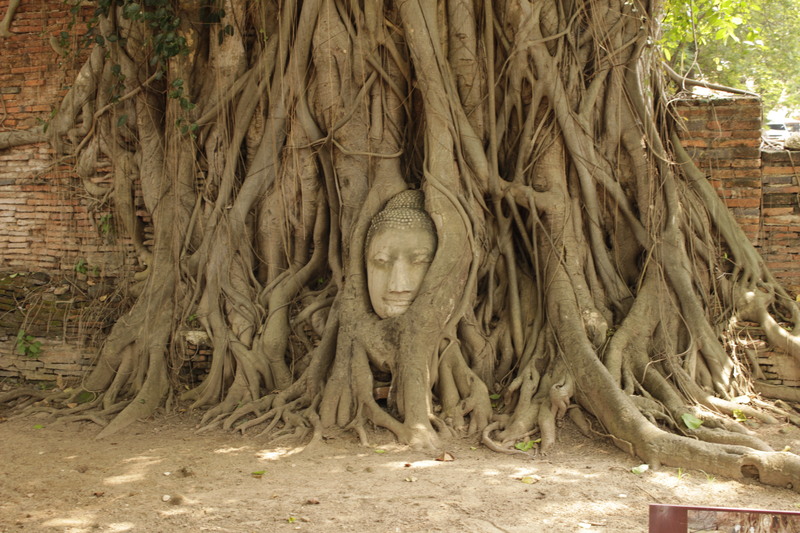 Conjecture might be that one of the heads ended up next to the Bodhi tree. While taking picture due respect to the Buddha image you have to stay at the same level or lower than the head at all times. 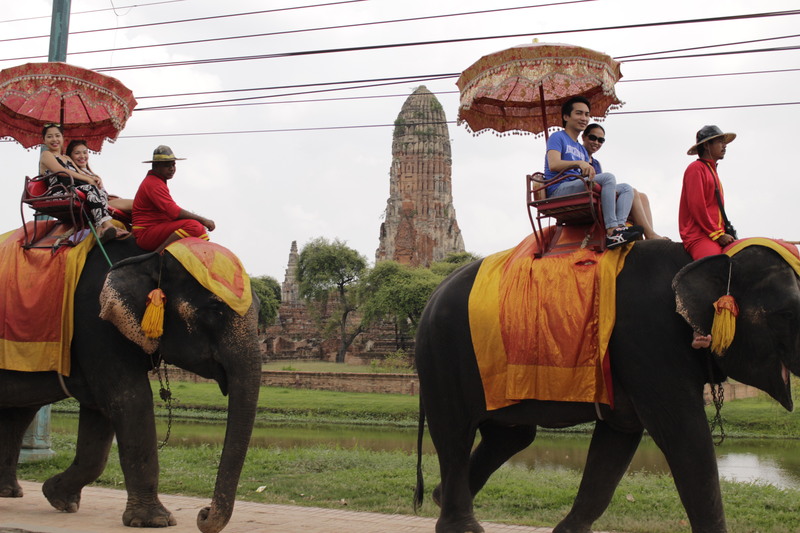 Another activity that’s worth considering is Elephant Riding. 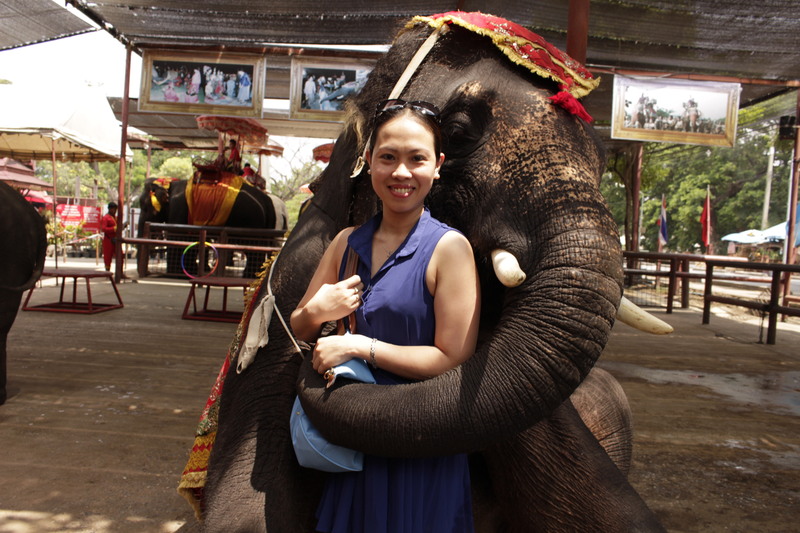 Never have thought elephants can be trained so well to do so many things, like dancing, hugging, smiling and asking Tips. Such a very sweet and lovely animal. It has been registered as a national historic site. The palace contained three wooden buildings. 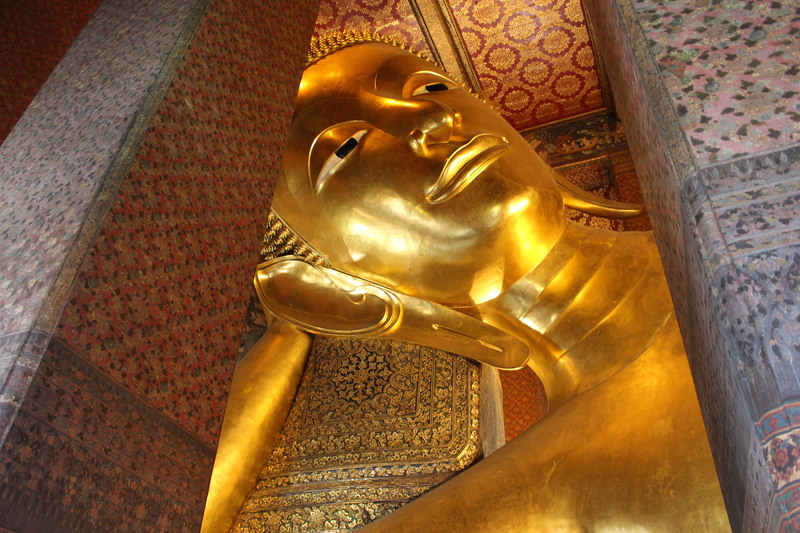 It served as a model for the Temple of the Emerald Buddha in Bangkok. The weather was bad, the rain pummeled down but still the tour must go on..Rain or Shine (lol). 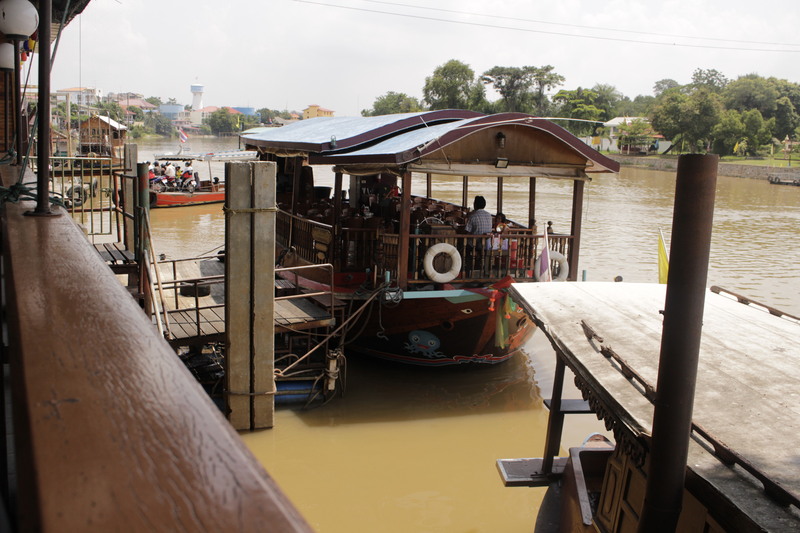 Is a market where goods are sold from boats. 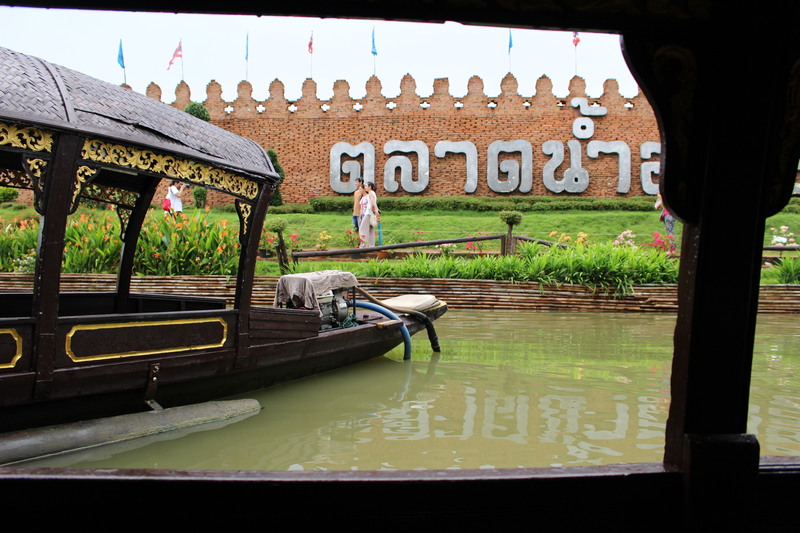 One of the well-known and an attractive travelling sites in Ayutthaya. Everything you will find here particularly foods, fruits and vegetables. Unfortunately, we haven’t see any vendor rowing their boats in the river to sell goods because the rain poured down so heavily and it took for a while before the rain stopped. While we get stucked by the rain, we utilized our time by shopping around the corner, bought some souvenirs, ate local sweets and bottle fed baby fishes. We had so much for the day. When the rain stopped we started our way back to Bangkok. It was such a very long day but we had so much fun and adventure. It was not that obvious that four of us got so tired from the tour the other day. We woke up so late in the afternoon. We just had half day left to explore on our second day. It’s has been agreed that we will just do Shopping for the rest of the day. 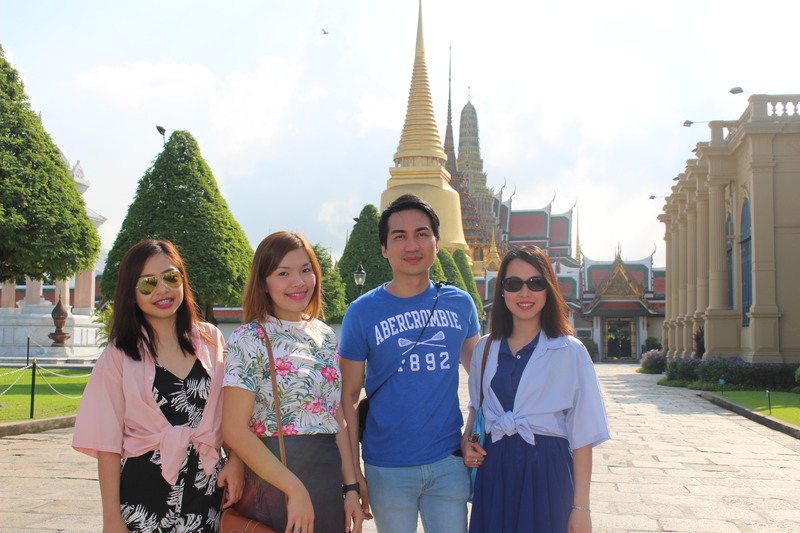 So we visited the famous Tourist Malls and Night Market in Bangkok like Platinum Mall, Chatuchak Market, MBK Shopping Center, & Siam Square Mall. 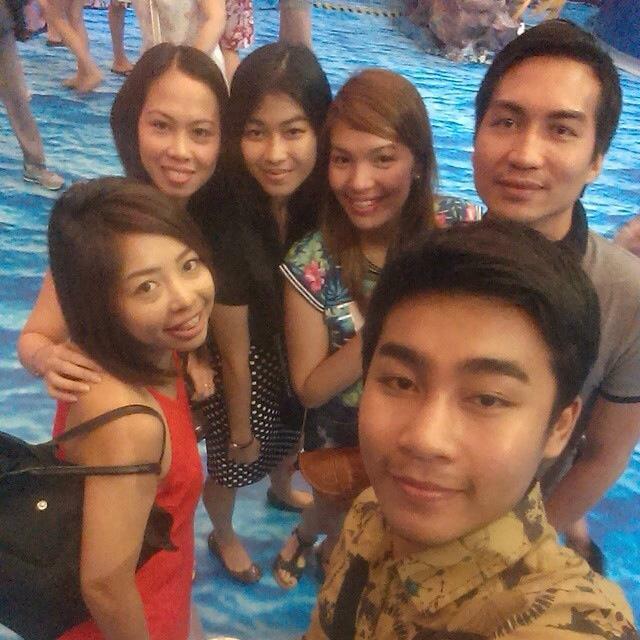 And we also met Bryan’s Thai friends who become our new friends. After shopping we went to Kao San to chill. It is a small road in central Bangkok, Thailand. There are Hotels, Shops, Restaurant in the area. 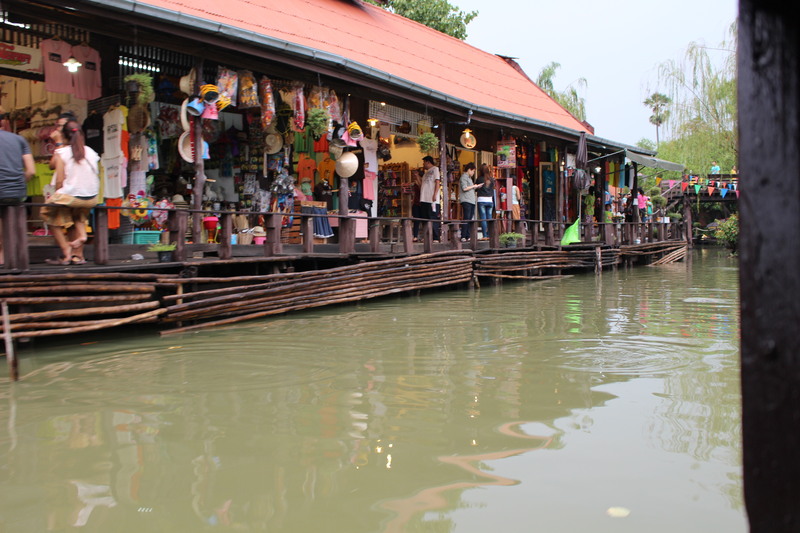 Khaosan shops sell handcrafts, paintings, clothing, exotic foods, plus many useful backpacker items and souvenirs. During late evening, the streets turn into bars and music is played, food hawkers sell barbecued insects, exotic foods for tourists that if you take pictures of it you will be charged 10-15 Bht . We roamed around, shopped and ate. We have tried to eat one the barbecue insects and the taste was so awful. For so many hours of keep walking, our feet and body deserved a relaxing Thai massage (the best massage ever) so we had a thai massage and after, we end up sitting down in the bar to unwind. Second day wasn’t so good and enjoyable for me. My mood changed when I got bad blister on my foot that burnt my foot. And due to our different behavior and attitude and stress a small Conflict occured in our group. Conflict is a part of life and we cannot avoid it. And lastly, our small group got divided, splitted up and I admit I felt out of place. But overall, I was happy and alright. No big deal!